When you visit this page, you will get a wonderful look at life below the ocean. There are a myriad of beautiful designs for jewelry to be found here. 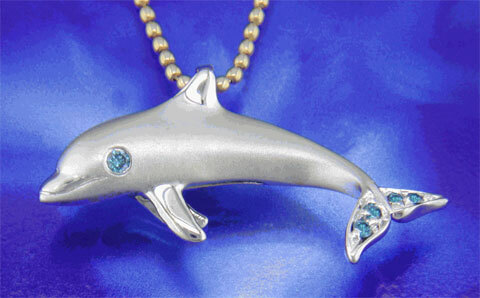 Some of the gorgeous items include dolphin jewelry, mermaids, sea life, atocha coins, and sharks. You receive a free polishing cloth with each purchase. For orders over $400, you will receive a free jewelry cleaning atomizer. 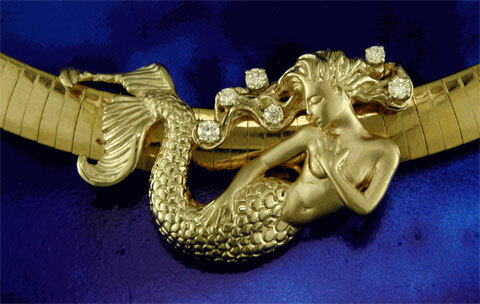 This sea life collections has many beautiful and intricate pieces such as the mermaids. They come in pendants and earrings. 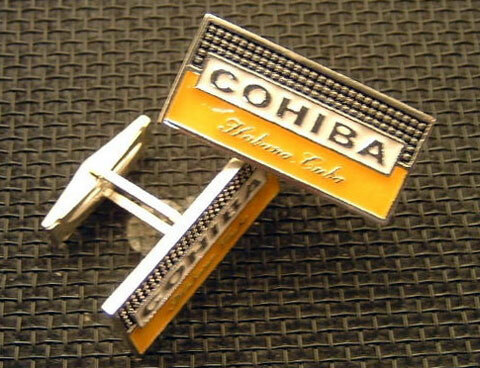 They are carefully made from gold and/or silver and carved to perfection. Some are holding certain gemstones. They have pearls, amethysts, citrine and blue topaz. They are made in a wraparound and drop fashion for the earrings and rings. 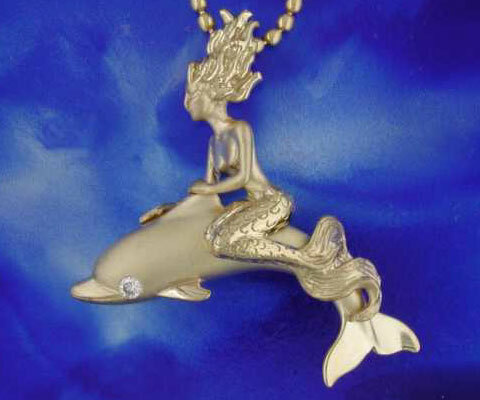 The mermaid necklaces and pendants also come with or without the elegant stones. They have several pieces with inlays of opal and abalone. Several styles have the mermaid with dolphins, on an anchor, or with a seahorse. Other sea life available are sea turtles, jellyfish, seahorses, and octopi. These come in14-karat gold or silver for your enjoyment. The rings, earrings, bracelets, and pendants come with sea turtles, octopi, seahorses, frogs, geckos, starfish, sand dollar, and plumeria flowers. Some of these items come with different gemstones as well. 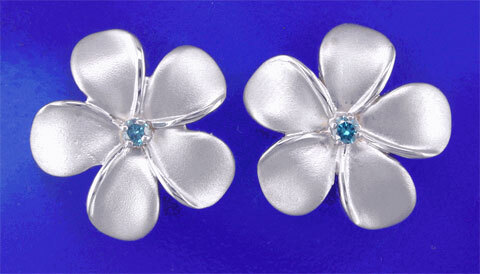 These include opal, diamonds, and pearls. They also have some very intricately done hatching turtles, jellyfish, and tropical fish. The sea collection also includes several other items of interest. These include the whale tail, manta ray, nautilus shell, frogs, and conch shells. The whale tail cross pendant is just elegant. They also have bracelets, earrings, triple layer tail earrings, a mother and baby humpback whale pendant, and two whales in a heart shaped pendant. The manta ray is an exquisitely designed belt buckle. The nautilus shell is made into a beautiful set of earrings and a money clip. Frogs are very playful on the necklace slide. You can also find frogs rings and earrings with a tsavorite stone for the eyes. The conch shells come with or without diamonds and make very stunning pieces of jewelry. The bracelets that come in 14-karat gold and silver also have a wonderful intricate look. They are made from interlocking scallop shells, sea turtles, sea horses, and sand dollars. There are also some tropical fish designs that are very tasteful. Most of these pieces have one design or up to five on each bracelet. The Atocha coins that are silver in color comes with their own unique settings as well. They come mounted with dolphins, mermaids, scallop shells, skull and crossbones, octopi, crabs, and fish. They can be done in a circular or triangular type of setting. Anklets are another popular choice. They also have toe rings and some navel studs you can choose to mix and match. The anklets come with starfish, dolphin, geckos, mermaids, sea turtles, frogs, conch shells, and sand dollars. 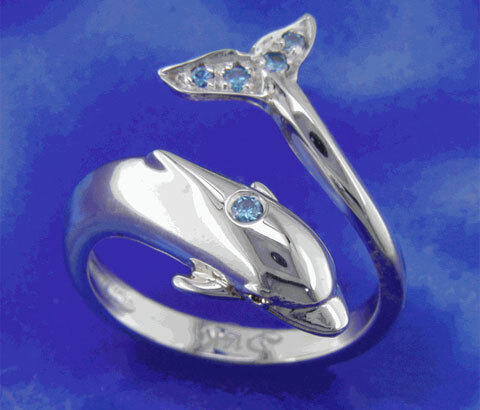 Toe rings can have many different animals such as starfish, dolphin, and gecko. The navel studs come with starfish and whale tails. They have a Mysterium Collection which also has some very eye-catching and tension set stones that make each piece very alluring. Some are circular and some are square, but the rings in this collection with their uncommon settings make these a fabulous addition to your jewelry box.